Everyone knows about historic New England places like the Freedom Trail or Robert Frost’s Farm. But the New England Historical Society can take you to historic sites that you may not even realize are historic. Even a modern-day restaurant may have a story to tell of long ago. Take, for example, a Chinese restaurant in suburban Boston. 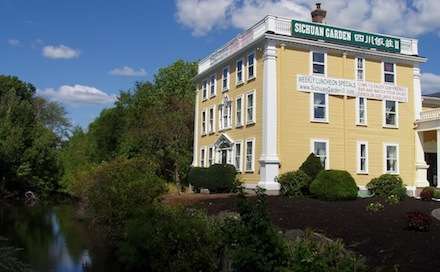 Sichuan Garden in Woburn, Mass., is in a former Federal-style mansion that was once the home of Loammi Baldwin, a Revolutionary War veteran. The Baldwin apple was named after him, but even that wasn’t his claim to fame. He built the Middlesex Canal, once a major commercial waterway. Remnants of the canal, which opened in 1803, can be seen right near the restaurant. 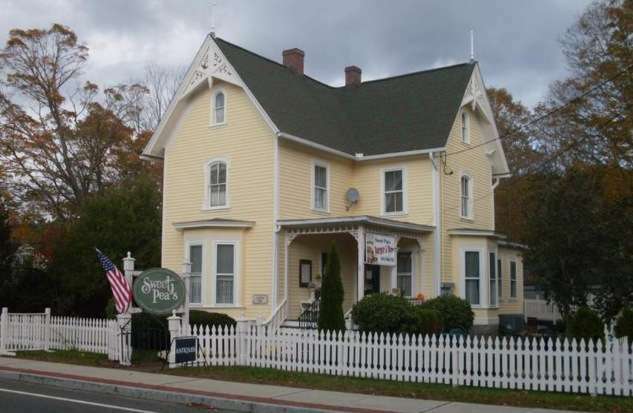 Or visit the Middlesex Canal Museum 20 minutes away at 71 Faulkner St. in North Billerica. If Mom likes Chinese, think about taking her to the Sichuan Gourmet in nearby Billerica. Or to any one of the town’s 50 restaurants. Billerica experienced an extraordinary baby boom when the War of 1812 broke out. The 90 families in the town produced 1,043 children, or 11.6 children per family. Can there be a more appropriate New England place to celebrate Mother’s Day? Well, perhaps so … Portsmouth, R.I., Cambridge and Watertown, Mass., come to mind. Julia Ward Howe, author of the Battle Hymn of the Republic, came up with the idea for Mother’s Day, though she thought June 2 would be the ideal date. She and her husband, Samuel Gridley Howe, had a summer home in Portsmouth called Oak Glen. It’s now on the National Register of Historic Places. Though the house is a private residence, there are plenty of other historic sites in Portsmouth (as well as 38 restaurants, a vineyard, topiary garden and polo). Portsmouth, which celebrated its 375th anniversary two years ago, boasts a Revolutionary War fort, a home where the Marquis de Lafayette stayed before the Battle of Rhode Island and the training facility where John F. Kennedy learned about his PT Boat. We thought of Mount Auburn Cemetery in Cambridge and Watertown because that’s where Julia Ward Howe is buried – along with Nathaniel Bowditch, Charlotte Cushman, Fanny Farmer, Dorothea Dix, Francis Parkman, Isabella Stewart Gardner, Winslow Homer and Edwin Land – to name a few. Mount Auburn isn’t just a cemetery, it’s also a National Historic Landmark, a botanical garden, an outdoor museum of art and architecture, and an important habitat for urban wildlife. 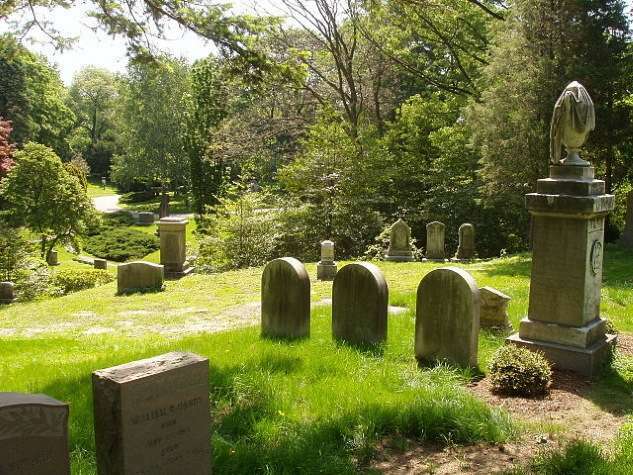 The cemetery is credited with starting the American green space movement. If the weather’s good, it’s a gorgeous place for a tranquil stroll, as there are miles of roads and paved paths. As long as we’re thinking about Julia Ward Howe, we can’t forget Boston, which is where Howe and Gridley lived for a while on Beacon Hill. It’s also a great place to stroll if Mom doesn’t like hills, and there are lots of places to eat. The Howe-Gridley home at 13 Chestnut St., still a private residence, is on the Women’s Heritage Trail. Sweet Pea Restaurant in Riverton, Conn. If Mom’s into antiques, she might be into a trip to the Village of Riverton in Barkhamsted, Conn. There the Hitchcock Chair Co. is still making chairs, after a hiatus or two since Lambert Hitchcock started his factory on the Farmington River in 1818. Riverton has a historic district that includes a post office, the Riverton General store, Sweetpea's Restaurant, Still River Antiques, Greenwood Glass Blowing Studio and Gallery, the Riverton Inn and the Hitchcock Chair Store. Or how about Old Sturbridge Village? On Mother's Day, all moms are admitted free. The museum's village gardens feature medicinal plants used by mothers during the early 19th century, while village households and shops offer insight on parenting back in the day. There's a prize drawing for two handcrafted gold leaf candle sconces worth $500. Old Sturbridge is also hosting a Mother's Day brunch, with a children's station as well. Click here for more. Judith Sargent Murray, born in Gloucester, Mass., is another Mom who could be honored with a visit. She was inspired by ideals of equality and empowerment that spawned the American Revolution. She was a prolific writer who compiled her writing into a three-volume set purchased by George Washington, John Adams and Mercy Otis Warren. Though she only had one daughter who lived to adulthood, she was responsible for educating 12 children. Late in life, she moved to Natchez, Miss., to be with her daughter and was pretty much forgotten after her death in 1820. It wasn’t until 1984 that 20,000 letters she’d written and copied were discovered in a Mississippi plantation house. Historians are still trying to digest them all. Gloucester is in itself worth a trip, with its picturesque waterfront, seafood restaurants, Cape Ann Museum, Eastern Point neighborhood and settings that appeared in the film The Perfect Storm. You might want to wait until Memorial Day weekend, when Murray’s home -- now the Sargent House Museum – opens Fridays, Saturdays and Sundays. The high Georgian style house has paintings by another famous member of the Sargent family, John Singer. If you’re a fan of John Singer Sargent (we certainly are) his paintings can be viewed at the Isabella Stewart Garden Museum, Boston’s Museum of Fine Arts, the Worcester Art Museum, the Portland Museum of Art, the RISD Museum, the Yale University Art Gallery, the Currier Museum of Art and the Wadsworth Atheneum Museum of Art. 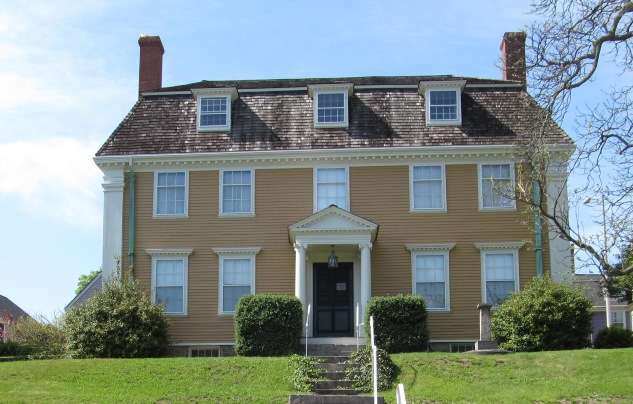 On Saturday, May 14, take a journey through the life of a colonial soldier at the Webb-Deane-Stevens Museum in Wethersfield, one of the prettiest and most historic towns in Connecticut. 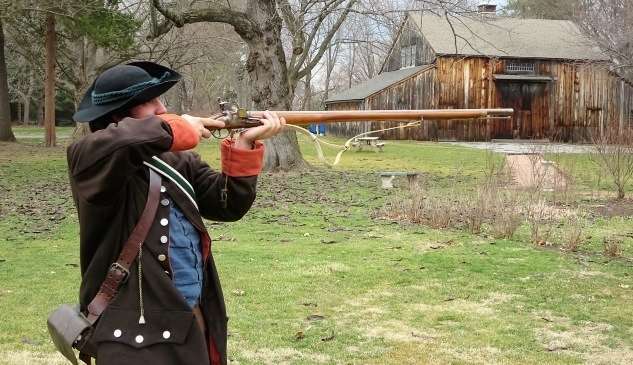 Revolutionary War re-enactor Anthony Riccio will demonstrate how a Continental soldier fired a musket as the finale to the museum’s “Revolutionary Soldier” Digging Deeper Tour. Riccio and Sal Carmosino will show how to use the contents of a typical soldier’s haversack, including a canteen, sealing wax, dice, flint, gunpowder horn and mouth harp. You’ll learn how the army developed under the leadership of George Washington, who stayed at one of the museum’s four colonial homes during the American Revolution. The Webb-Deane-Stevens Museum even has a restored colonial privy where George Washington may well have sat. For more information, click here. Photo of Mount Auburn Cemetery by Swampyank at Wikipedia, CC BY-SA 3.0; Photo of Sargent House Museum by Doug Kerr on Flickr CC BY-SA 2.0 By Wikipedia.